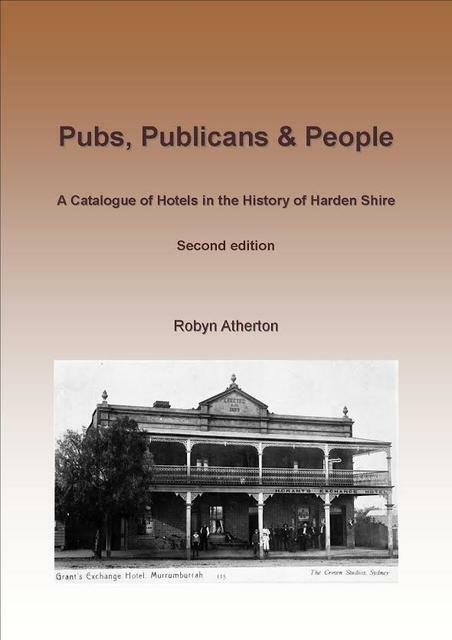 Robyn Athertons book enables you to take a journey through a century of the life and times of public houses in what is now the Harden Shire. This is a catalogue of public houses dating from the 1840s to include the last hotel built in the shire and lists publicans up to the 1960s. The Government Gazette records do not give an exact address or location for many of the buildings, and as very few are still standing, newspaper advertisements often give a clue to the location. $20 per copy plus postage and handling. SRW Publishing is proud to announce the release of the first volume of RAILWAY HOTELS OF AUSTRALIA a new four-part series of books detailing the history of every hotel across Australia that trades or once traded as the Railway Hotel. This multipart comprehensive work presents the history of every Railway Hotel, along with the settlement and railway history of the location. Then-and-now photos and a range of advertisements and anecdotes add interest and establish the mood of the era. 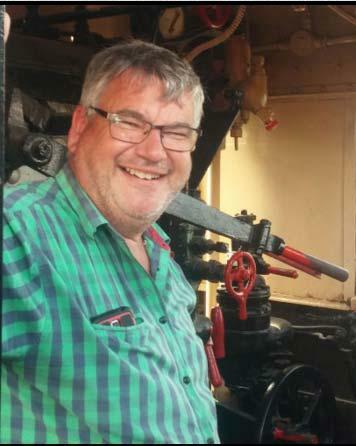 I congratulate Scott for achieving this substantial compilation, and commend the book to a wide readership: railway and hotel hobbyists, publicans, people with an interest in local or social history, or with an interest in architecture. Many readers may be enthused to seek and sample survivors, and join the spirits of patrons and publicans from the early years. RAILWAY HOTELS OF AUSTRALIA will appeal to a wide audience, not only a reference book, but as a travel guide, to allow readers to embark on their own journey of discovery. 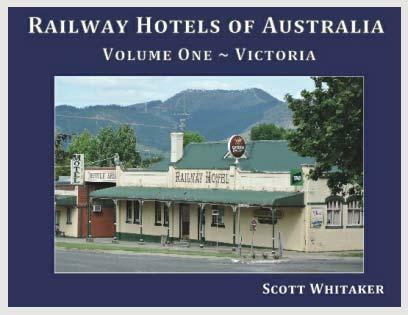 RAILWAY HOTELS OF AUSTRALIA ~ VOLUME ONE ~ VICTORIA will make a valuable addition to any home library would make an excellent gift. 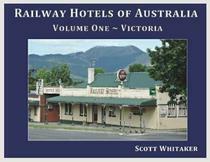 RAILWAY HOTELS OF AUSTRALIA ~ VOLUME ONE ~ VICTORIA is available now, and is competitively priced at $69.95 plus $12.50 postage. Order direct from www.railwayhotelsofaustralia.com.au. As an added bonus, all books ordered direct will be personally signed by the author. 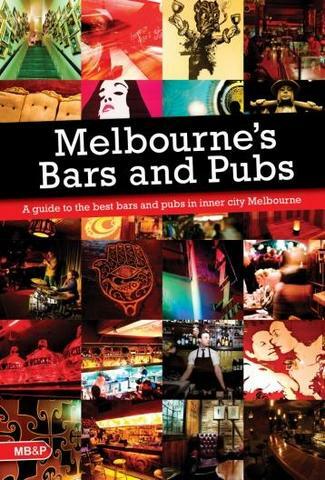 "The first-ever guide to Melbourne’s best bars and pubs, this new book provides a descriptive and photographic guide to the city’s wine and cocktail bars, history-filled old pubs, jazz bars and quirky laneway hideouts. An annual publication, which is best described as “the bar and pub version of The Good Food Guide”, provides information on the drinks, food, atmosphere, dress code and special events at the best bars and pubs in inner city Melbourne." 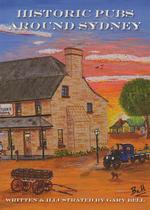 This is the third sketchbook Gary Bell has produced to record the history of Australian pubs. His earlier books explain the need to preserve the heritage of our colonial hotels because they are a diminishing breed and often neglected in historical records. The first two books concentrated on South-eastern New South Wales and the Murray River. 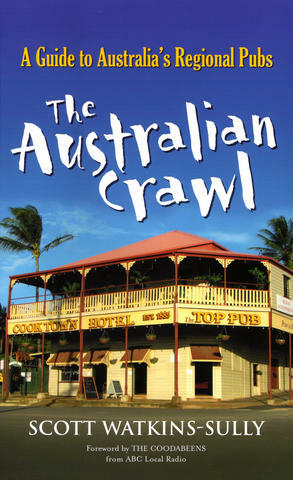 This one covers historic colonial pubs around Sydney. There has been no attempt to cover historic hotels within Sydney beyond starting with a few of our classics from The Rocks area. This publication concentrates more on the early pubs around the fringe of the city in settlements established when the colony was first expanding beyond Sydney Town and Parramatta. These settlements (now towns) are within a days drive from Sydney city at some of our nation’s most historic locations. Where possible, the originals or early versions of the public houses have been illustrated. These illustrations are accompanied by the history of the pubs as well as photographs of them in their present state. HISTORIC PUBS ALONG THE MURRAY. The second sketchbook from Gary Bell exploring our Pubs. Copies are still available. 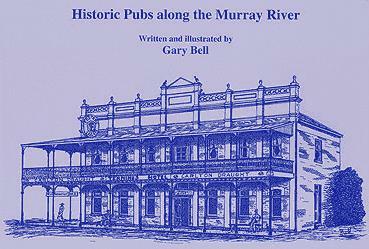 Illustrated survey of old pubs in towns along the Murray. Ed: Both sketchbooks are a class act and a must for the Pub enthusiast and give well deserved recognition to the historical importance of these great Pubs. Pubs tucked away off the beaten track, perfect pints pulled in remote communities, inspiring pies and puddings proffered in the provinces, marvellous mine-host high-end hospitality and bonza bonhomie – it's all in "The Australian Crawl". 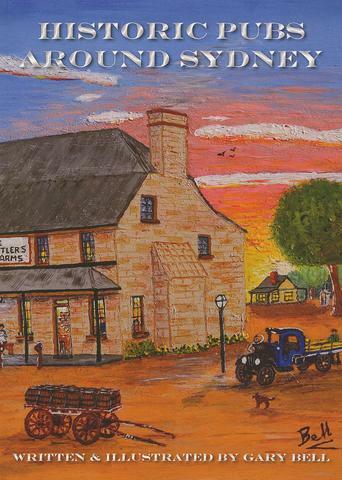 Australia's country Pubs are places to drink, eat, socialise and be entertained. If you are a road-weary traveller they also offer a place to sleep. Here's a guide that gives the lowdown on country pubs, region by region, across Australia. Not only does the guide offer an insight into the best places to enjoy an ice-cold beer and tuck into good grub, it also highlights points of local interest and recounts a few yarns from the characters that can be found propping up the bar, willing to bend an ear or two. With over 200 reviews of pubs, this is the ideal guide for anyone who needs a little local knowledge while exploring regional Australia. Toss a copy of The Australian Crawl in the glove box and hit the road. Many of these old watering holes are under threat from redevelopment or have been displaced by a changing society. pubs. FALL OF THE BAR is a soft covered book of two hundred pages and includes historic Tooth and Co. black and white photographs, as well as including contemporary colour photographs of these iconic watering holes. 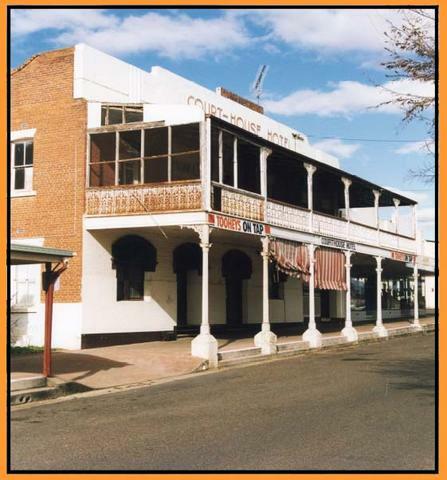 "Glenn takes you on an entertaining and informative journey through the tales and times of some of our great Aussie Pubs. 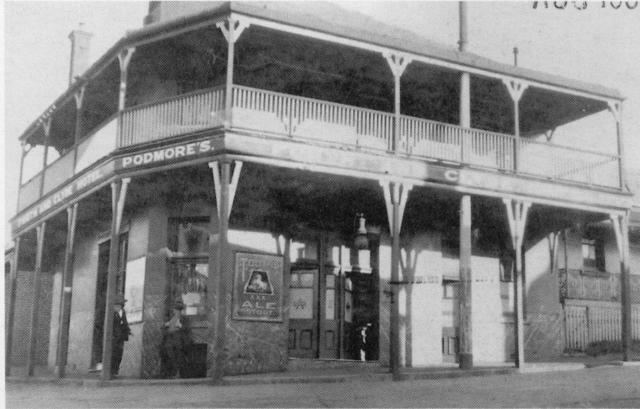 The falls and fortunes of of the Pub and its Town have always been interwoven. In his easy reading style Glenn visits the events that changed both. He also introduces us to some true characters from behind the Bar. How did the six o'clock swill affect how people socialised?. An industry closing or arriving? Changes in gambling laws? The motor car? A change in Publican? Why were Pubs built or moved to where they now are? The ladies arriving at the bar? Find out here. Glenns exploration across Oz reads like great fun. 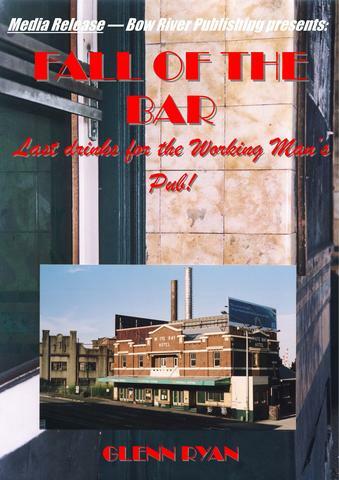 His research and conversations with Publicans along the way, put to paper in "Fall of the Bar", makes a fascinating road diary full of snapshots through time of the aussie relationship with their Local"
150 years of Pubs in the Balmain-Rozelle area of Sydney NSW. The book is published by the Balmain Association Inc. Cost 2003 A$13 plus A$2.50 post/packing). We are Not sure if Mick Roberts website is available in Book form yet, but the site is certainly a good read on the Pubs and Pub history of the Illawarra.